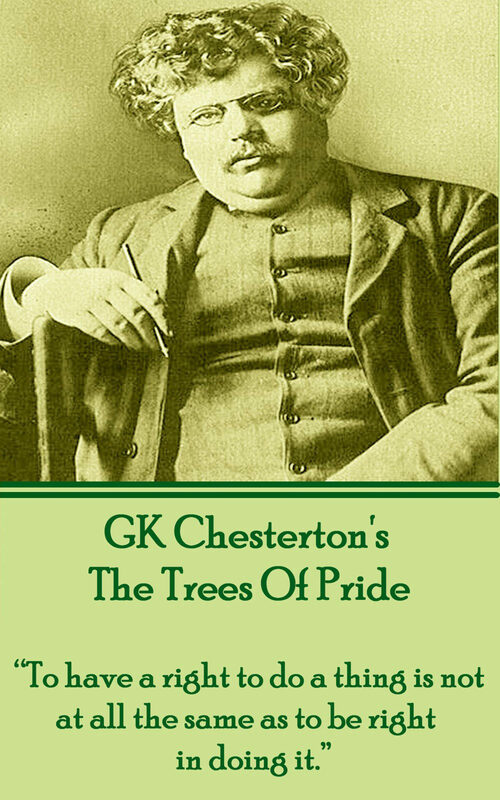 The Trees of Pride is another bestselling novella by the G.K. Chesterton. It is basically a four-chapter mystery story with the usual overtones Chesterton often adorns his stories with, overtones related to the belief in paranormal phenomena and in metaphysics. The victim of Chesterton's satire and sarcasm this time is a noble man from Cornwall named Squire Vane. Vane is a too rationalist man who rejects all form of belief in the supernatural. He strongly dismisses the superstitions becoming more and more popular in the village and which hover around a number of exotic trees that his ancestors brought from Africa. The legend goes that such trees are malignant and are responsible for the spread of disease and malevolence in the village. When Squire Vane is once provoked by the comments of his friends on the subject of the trees, he challenges them by deciding to go to see the trees by night in order to prove all superstitions wrong. However, his act only succeeds in reinforcing the villagers' suspicions when he mysteriously disappears that very night. By refusing to provide any rational explanation of the squire's disappearance, the author of The Trees of Pride obviously warns his readers of the Christian sin of pride. .
Otros ebooks de G.K CHESTERTON.